Diseases of the gums have a very negative effect not only on the appearance of the teeth but also on the overall health of the oral cavity. The causes of inflammation in the gums may be several. 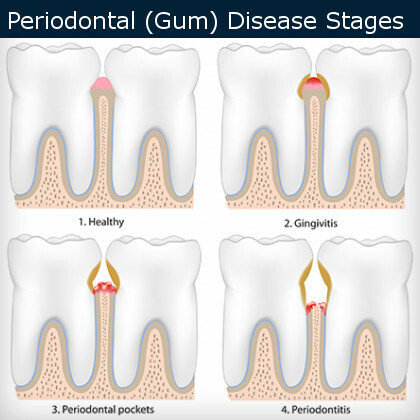 The most common diseases of the gums are periodontal disease, gingivitis, and periodontitis. Gingivitis is an early stage of gum disease when the gums turn red and swollen and bleed easily. At this stage, the disease is treatable and, as a rule, can be eliminated by removal of dental deposits and medical treatment. Daily hygiene of the oral cavity and professional cleaning at the dentist at least two times a year can exclude the development of relapses and significantly reduce the likelihood of development of periodontal diseases. If gingivitis is left untreated, it passes into periodontitis. It is a serious gum infection that destroys the gums and bone that support your teeth. Infected gums and jaw bone can no longer retain teeth. Teeth become mobile, loosen, fall out or have readings to remove them. In most cases, gum disease is the result of poor oral hygiene. Gum disease is created by microorganisms, constantly present in the oral cavity. Under the influence of bacteria, the plaque hardens. Within a short time, the plaque turns into stone. It is very important to diagnose the problem at a time and undergo a course of treatment. Only a dentist will be able to detect the problem and suggest ways of its elimination. 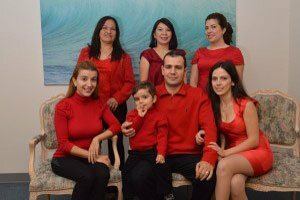 Call Dr. Sahakyan, the best dentist in Burbank and schedule a consultation today. the appearance of gaps between the teeth. What can be done as a preventative measure? Food should be the most useful and saturated with vitamins and trace elements. It is very useful to eat flaxseed, fish oil, fish and various seafood. To monitor hygiene of the oral cavity. Do not just brush your teeth regularly, but use dental floss after each meal. Cleaning with it should take at least two minutes. Regularly use mouth rinses after eating. Refuse to smoke, because cigarettes, can cause nicotine stomatitis. In time, treat any diseases. And two times a year you must come to the dentist for a regular checkup. The procedure of laser treatment is simple and extremely effective. A high-precision laser beam is inserted into the oral cavity for further cutting. Then the damaged area is methodically processed, without causing the patient pain or the slightest inconvenience. During the treatment, only tissues with a damaged structure are removed. The laser allows you to eliminate bad breath, bleeding. Pathogenic microflora is simply not able to bear its effects and a healthy pink color returns to the gums. 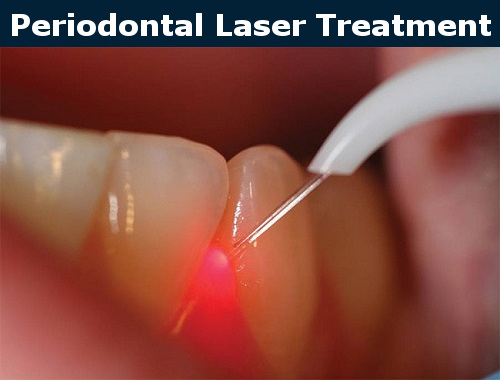 Laser treatment of periodontal disease is very effective and helps to reduce symptoms in a shorter period. Thanks to a special backlight, the dentist Burbank can adjust the depth of input. Bloodless procedure. There is no need to cut the gum tissue. During treatment, the laser beam literally seals all small vessels. Painless. The effect of the laser on the tissue is completely painless. The patient does not experience significant discomfort. Additional polishing of the tooth root tissues. With the help of the laser, a close fit of the gum to the tooth is achieved. A small number of contraindications. Laser treatment is carried out even in young children, pregnant women, allergy sufferers. Reduces the risk of infection. Faster healing time. After processing there are no strict restrictions, almost immediately you can eat food. If you suspect that you could be suffering from gum disease, the Dentist Burbank, Dr. Sahakyan will help you. Treatment of gum teeth with a laser has some contraindications, so the patient should undergo a test before the procedure. 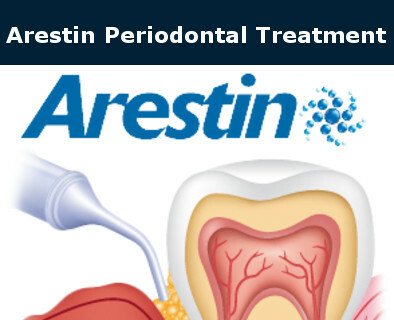 As part of a therapy for periodontal disease, Dentist Burbank, Dr. Sahakyan may also recommend an effective treatment called Arestin treatment. It helps to control the infection in the mouth. “Arestin” microspheres are a tetracycline antibiotic. The drug “Arestin” can be used to treat certain gum problems that can occur after some dental procedures for the treatment of inflammatory gum disease. “Arestin” is a locally delivered antibiotic that kills bacteria in a periodontal pocket. It is a dry powder containing more than 100.000 micro beads. After thoroughly cleaning and polishing the roots, the dentist inserts “Arestin” into the pocket between the tooth and the gums. The procedure is completely painless. The use of an antibiotic in conjunction with a thorough dental pouch cleaning can greatly improve the results of the treatment. This is due to the destruction of bacteria inside the dental pocket. The introduced substance remains active for a long period of time. It works by slowing the growth of some bacteria and allowing the body’s immune system to kill them. Studies show that the depth of sounding in pockets deeper than 5 mm decreases by an additional 0.25-0.5 mm. The drug helps fight the periodontal infection for at least 21 days. What Can You Do after “Arestin” Treatment? You should wait 12 hours after treatment before brushing your teeth in the affected area. You should also avoid eating sticky or hard foods for 1 week. For at least 10 days you should postpone the use of dental floss, toothpicks, or any other devices that clean between your teeth in the affected area. Periodontal disease is very dangerous for the oral and overall health. In order to stay healthy and maintain healthy teeth contact the Best Dentist in Burbank at My Dentist Burbank. Call 1-818-578-2332 to schedule an appointment today. My Dentist Burbank is rated 5 out of 5 based on 14 reviews from Google. Thanks for being so awesome Doctor. I trust my teeth and my smile only to you from now on. Highly recommend. Great staff and great Doctors. They helped me with a CEREC Crown. Very fast and affordable. Thanks for the great service. Highly recommend. Very reasonable prices, nice and caring stuff. Their prices are affordable. The Doctor is so patient and the staff is very nice. Schedule Your Consultation with My Dentist Burbank today. Copyright © 2019 My Dentist Burbank. All Rights Reserved. My Dentist Burbank serves Glendale, West Hollywood, La Canada, and all neighboring cities of Burbank. Sitemap | Developed by DevelTon.